Salt has been used for hundreds of years in many therapeutic ways. Most people are familiar with “wet salt” therapy, which includes nebulizers, Nettie pots, saline solutions, and salt baths. Halotherapy is what is known as dry salt therapy, and it is becoming increasingly popular in modern day times for improving health. Halotherapy is provided all over the world as a holistic and complementary method for improving respiratory issues, skin issues, athletic performance, and overall wellness. Halotherapy adopts the principles of Speleotherapy, utilizing modern technology and a man-made environment. The word speleotherapy comes from the Greek word “speleo,” which means cave. In speleotherapy, a person sits in a salt-lined cave and inhales the salt dust infused into the air. The word halotherapy is derived from the Greek word “halos,” which means salt. In halotherapy, the salt cave environment is replicated. These environments are commonly known as salt caves, and salt rooms. 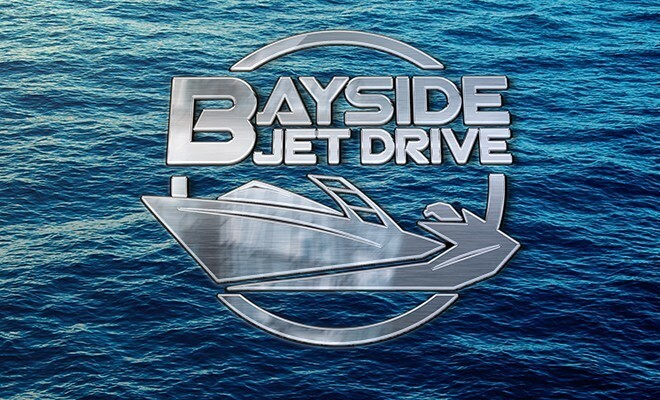 With the use of a machine known as a halogenerator, pure pharmaceutical grade sodium chloride is crushed into micro-sized particles, and the dry salt aerosol is released into the air. Dry salt therapy is not a new trend. It originated from the salt mines and underground caves of Eastern Europe and Russia. Centuries ago, European monks would go to natural salt caves where they would grind salt rocks together to form salt dust for people with respiratory issues. In 1843, Polish physician, Feliks Boczkowski, discovered that workers in salt mines had much better respiratory systems than those of coal miners. Soon after, he established the first health facility in the Wieliczka Salt Mine in Poland. In 1949, German physician Dr. K. H. Spannahel observed that during World War II, the people hiding in the salt mines from the bombs had experienced respiratory benefits. He helped create a salt therapy facility in the Klyutert cave in Germany. Soon after, in 1968, the first speleo-hospital opened in the Ukraine to assist those with respiratory ailments. In 1985, the salt mine workers in Russia, in collaboration with the Institute of Balneology, invented the first halogenerator device. This device brought the benefits of halotherapy to modern day. Halotherapy has since grown in all parts of the world, including the United States. Halotherapy acts to cleanse and detoxify the lungs, thus improving respiratory function. People sit in a “salt room” for a minimum of 30 minutes, and breathe in the dry salt aerosol. Dry salt is super absorbent, and removes impurities from the lungs, clears congestion, kills bacteria, reduces inflammation, increases oxygen intake, and boosts immunity. People with respiratory conditions such as asthma, allergies, COPD, smoker’s cough, bronchitis, cold symptoms, and cystic fibrosis can utilize halotherapy as a complement to their already established treatment regimen. The skin also can benefit from halotherapy. Salt increases activity of skin ion channels, and increases protective properties of skin cells. Dry salt normalizes skin pH, increases blood flow to the skin, increases regenerative properties of the dermis, and improves skin rigidity. Skin conditions such as acne, eczema, psoriasis, dermatitis, and rosacea can benefit from halotherapy. Others can benefit from halotherapy as well. Athletes can use halotherapy to increase their lung capacity and improve their endurance and performance. Singers, who use their vocal cords constantly, can benefit from halotherapy. Travelers can use halotherapy to aid in the recovery from jet lag. People with cold and flu symptoms can accelerate their recovery time with the use of dry salt aerosol. Those who practice yoga can use halotherapy to increase ability to perform deep breathing and revitalize themselves. Halotherapy can also help improve mental and emotional states by decreasing anxiety, stress, and depression. Halotherapy is all natural, non-invasive, and 100% drug free. 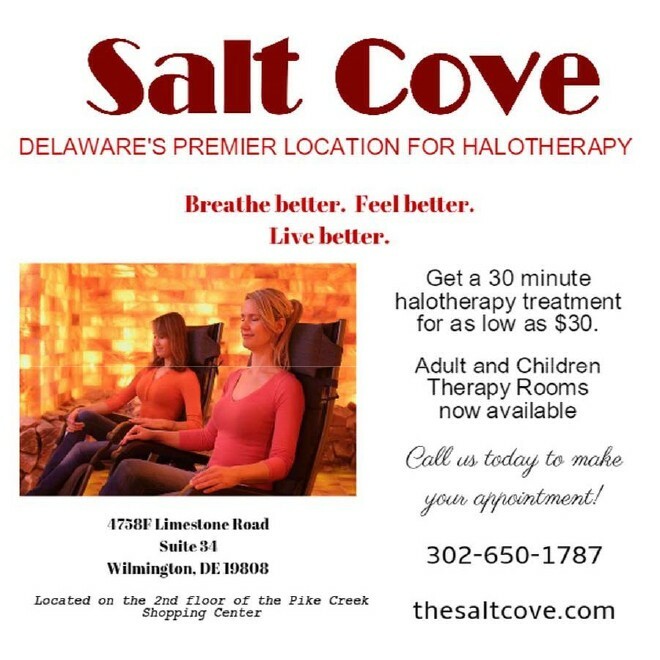 The Salt Cove is the first halotherapy location in the state of Delaware. 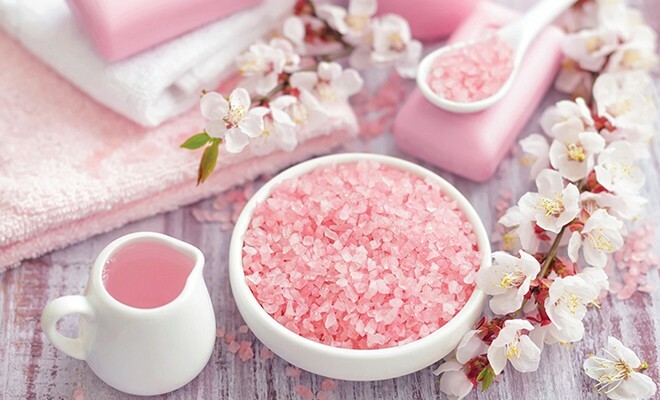 The Salt Cove recommends that all medical conditions be treated by the appropriate medical professional, and halotherapy act as a complement to your established medical treatments. If you are unsure whether to try halotherapy, please consult your medical provider. Shannon Bushong, DPT graduated with her Master’s in physical therapy from MCP Hahnemann University in 2001, and her doctorate from the University of Scranton in 2010. 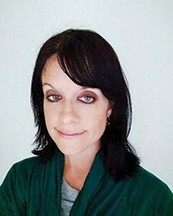 She has over 14 years of experience as a physical therapist. Dr. Bushong has been trained in seminars instructed by John F. Barnes, PT, LMT, NCTMB, the developer of the myofascial release approach. She practices myofascial release physical therapy to reduce pain and restore function in patients.